A doorbell or buzzer works on 10 volts, and chimes work on 16 volts. A doorbell transformer changes your standard household voltage of 120 volts to either one of the voltages needed. 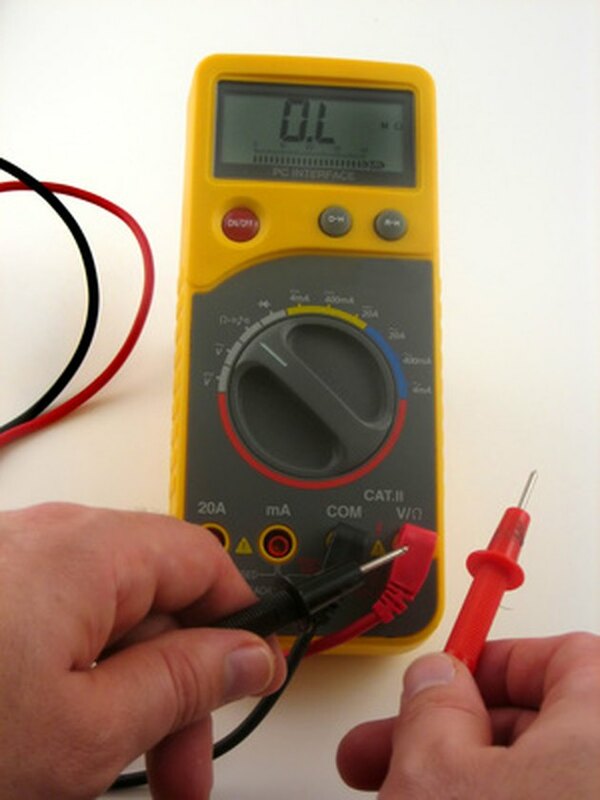 With a multimeter, you can accurately check your transformer for the correct output. You can also check the primary winding of the transformer for an open circuit. But you must know how to use the multimeter safely, and find the wires you have to check without detailed instructions. You must also know if your transformer should put out 10 or 16 volts. Use a multimeter to check your doorbell transformer. Set your multimeter to read AC volts on a scale higher than 16 volts. Touch your test leads to the output terminals of the transformer. The voltage should read either 10 or 16 volts. A 16-volt transformer putting out only 10 volts does not work properly. If the output reads 0, check the input to the transformer. Change the multimeter to read 120-volts AC or higher. Touch the leads of the multimeter to the input connections of your transformer. If it plugs into a wall socket, check the voltage by putting the leads into the socket. You should read around 120 volts. If not, you must correct the problem first. If the voltage checks out, check your primary winding with the ohm meter portion of your multimeter. Disconnect your transformer from its AC power source. If it plugs into the wall, simply unplug it. If wired directly, shut off the breaker or switch that feeds it before disconnecting it. Set up your multimeter to read 0 ohms. Touch the meter leads together to test the meter. It should read 0 ohms. Touch the meter leads from the primary input to the transformer. If it uses a plug, check from the prongs of the plug. It should read less than 10 ohms. If not, the primary of the transformer could be open, or if it connects to a plug, a wire could be loose or disconnected inside the plug. Check the wiring.